As a fan of power metal for almost as long as I’ve been a metalhead in general, there are a few things about it that set my teeth on edge. Pitchy, squealy tenors a la Stratovarius, for instance, or shameless poppiness, like Amaranthe. 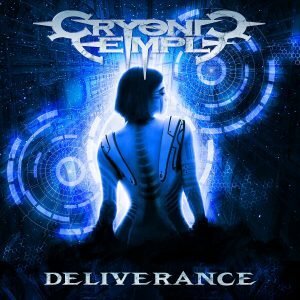 It’s in the latter camp that we find the once-respectable Swedish band Cryonic Temple. 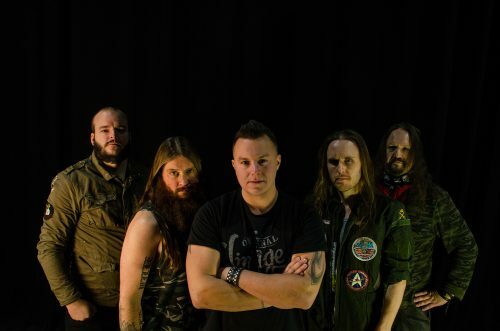 Having arisen from the early 2000s power metal boom, Cryonic Temple managed to carve out their own niche, but apparently lost steam in the back-half of that decade. Founder and guitarist Esa Ahonen pulled together a new line up for two back-to-back releases in 2017 and 2018. The first of these proved contentious with long-time fans, but wasn’t all that substantial a deviation from their prior style, despite creeping poppiness. The short turnaround time on Deliverance worried me (crafting innovative music takes time, after all), and those fears proved well founded. Not everything here is a dumpster fire. Soaring number “Knights of the Sky” manages to balance the poppier side of the composition with a meatier core of riffing, but it does suffer from an unfortunate reliance on power chords to under-gird the chorus. Similar but lesser is the near-eponymous “Temple of Cryonics,” which not only uses proper riffing in the chorus, but also manages a power metal hook without the poppiness of most of the tracks. Real credit on this album goes to “Pleasure and Pain,” a thoroughly enjoyable number in the mode of U.D.O. with hooky riffs and vocal melodies aplenty, possibly by virtue of a guest vocalist (it’s not indicated in the promo package), but if it is by Lilljas, then he needs to perform like this more often. On that note, Lilljas’ performance on the entire rest of the album ranges from bad to atrocious, not that the rest of the band is awake for their parts either. The over-reliance on power chords plagues Ahonen and Markus Grundström’s axecraft, and when they can be bothered to lay down riffs they’re pedestrian chugfests. Conversely, a couple tracks, “End of Days” and “Through the Storm” are outright dance ditties with the thinnest of guitar underpinnings, with the latter closing out the garbage trio opening the album. Further, Deliverance wastes two whole (long) tracks on atrocious ballads; the first, “Loneliest Man In Space,” features the same main melody as the chorus of “I Think We’re Alone Now” by 80s teen idol Tiffany. This is a reference point I desperately wish I could un-hear, but alas. As a final topping to the compositional shitshow, title track “Deliverance” features Lilljas desperately trying to offer a falsetto performance worthy of King Diamond. He fails miserably. Given the disaster at the songwriting stage, it’s almost not worth examining the production, but even here there are numerous flaws. The actual instrument tracks are desiccated and sterile as modern power metal can get, and the vocals show obvious signs of pitch correction, even with the relatively poor quality sound files in the promo. The mix is frequently muddled, with bass or (oddly) keyboards frequently buried by the guitar or drums. The master, as one should expect given the above, is squashed as hell, and is further just not done well, exacerbating the issues listed above. Other than “Pleasure and Pain,” I never want to hear any of this garbage again. Skip it. Tagged with → 1.0 • 2018 • Amaranthe • Cryonic Temple • Deliverance • Jul18 • Power Metal • Review • Reviews • Scarlet Records • Swedish Metal • Tiffany • U.D.O.